Monterrey (Mexico) (AFP) - Relatives of 49 inmates slaughtered in a fiery Mexican prison brawl sobbed and fainted as they read the list of victims on a wall after the country's deadliest jailhouse riot in years. 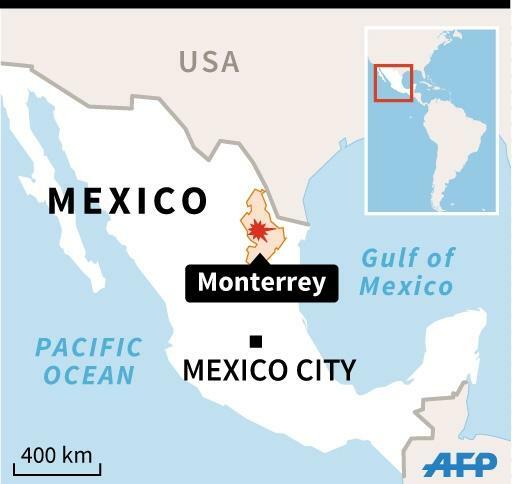 Thursday's battle involved two rival factions of the Zetas drug cartel fighting for control of the prison in the northern industrial city of Monterrey, highlighting the lack of authority and overcrowding plaguing many Mexican prisons. Hundreds of relatives flocked to Topo Chico prison before dawn after they learned that a brutal battle and fire had broken out. They shouted desperately through a fence to seek information from inmates while other relatives briefly pulled open the main gate and tossed rocks in anger. But then an official placed the grim list of victims on a wall outside. Some bawled and fainted while one woman was carried out in an ambulance. "All this for a robbery, my son was innocent," a woman cried after seeing her son's name on the list of the dead. Twelve others were injured during the "pitched battle" that lasted 30 to 40 minutes, said Nuevo Leon state Governor Jaime Rodriguez. "They used sharp weapons, bats, sticks," the governor told radio Imagen, adding that the 60-year-old penitentiary houses 3,800 inmates, overseen by 100 guards. The National Human Rights Commission says the prison has room for 3,635 convicts. One of the inmates was shot dead by a prison guard who was protecting a group of women, Rodriguez said. During the violence inmates set a fire in a supply room and TV images showed flames coming out of the prison in the middle of the night. Milenio TV showed video made by people living near Topo Chico of one inmate falling to the ground as others beat him with sticks in the prison yard. The riot erupted on the eve of Pope Francis's five-day trip to Mexico, during which he is due to visit another notorious prison in the northern border city of Ciudad Juarez. But National Security Commissioner Renato Sales said the pope would visit a safe prison, telling Radio Formula that the facility is a "national exception" because the Chihuahua state authorities have established an "orderly and disciplined" penitentiary system. The same could not be said of Topo Chico, as authorities admitted that inmates had control of the prison grounds. "We are experiencing a tragedy stemming from the difficult situation that they are living through at penitentiary facilities," Rodriguez said. Rodriguez said the prison battle was triggered by a dispute between rival Zetas members Jorge Ivan Hernandez Cantu, alias "El Credo," and Juan Pedro Zaldivar Farias, alias "El Z-27." Zaldivar, who was transferred to Topo Chico two months ago, apparently wanted to take control of the facility from Hernandez, the governor said. 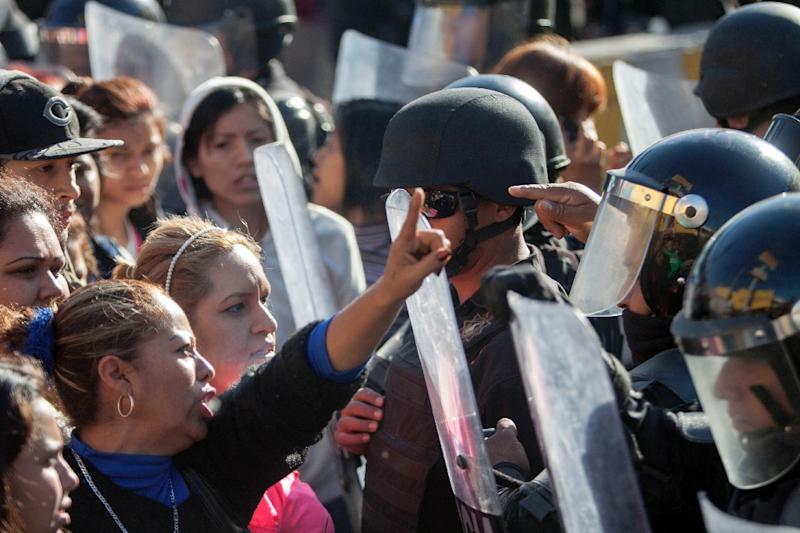 Nuevo Leon has been the scene of violent turf wars between the Zetas and Gulf cartels for years. The Zetas were behind another Nuevo Leon prison massacre that left 44 Gulf members dead while 30 inmates escaped in 2012. 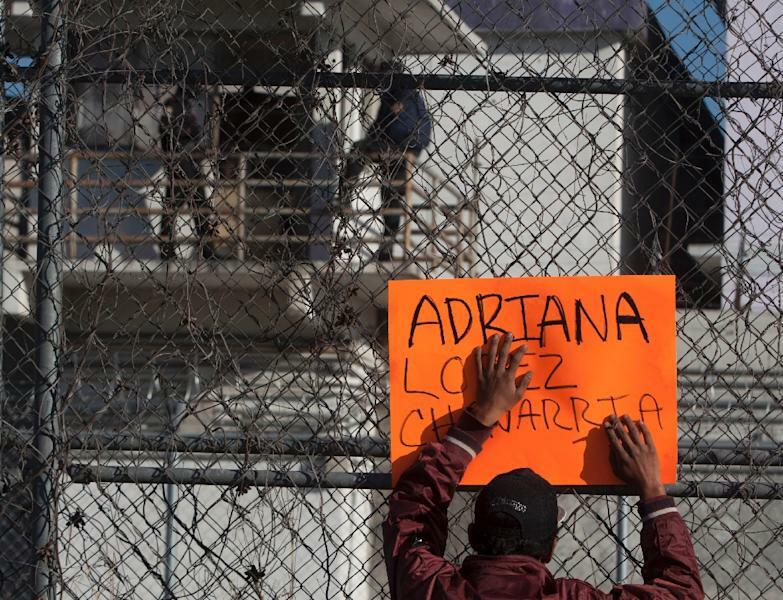 Around 40 prisoners were moved out of the Topo Chico prison following the tragedy, Rodriguez said. "It's one of the most complicated (prisons) and it is in a very complicated area, too. Obviously, we have to look at the future of this prison," he said. Authorities allowed family members to go into the prison later in the day to see survivors for a few minutes. "The main yard is completely burned. The bakery is all black," said Martha, a 22-year-old mother of two who saw her husband. Another woman who declined to be identified said the prisoners were handcuffed and looked like they had been beaten. Mexican penitentiaries are notoriously overcrowded and massive prison breaks have taken place in recent years. At Topo Chico, "the criminals are the ones in control of the penitentiary," Sales said. "Unfortunately, this is happening in a good part of our country's prisons." Out of 389 Mexican prisons, more than 70 percent are "overcrowded and ungovernable," the national security commissioner said. Even at the country's top maximum-security prison, the Altiplano near Mexico City, weaknesses were exposed when drug kingpin Joaquin "El Chapo" Guzman escaped through a tunnel in July. He was recaptured in January. The governmental National Human Rights Commission said last year that there was a serious crisis at the country's prisons, with 254,700 inmates packed in prisons with room for 203,000. President Enrique Pena Nieto's administration vowed to reform the penitentiary system following Guzman's escape last year.